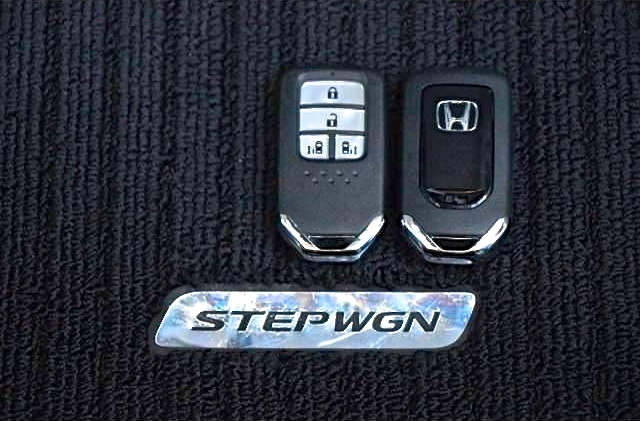 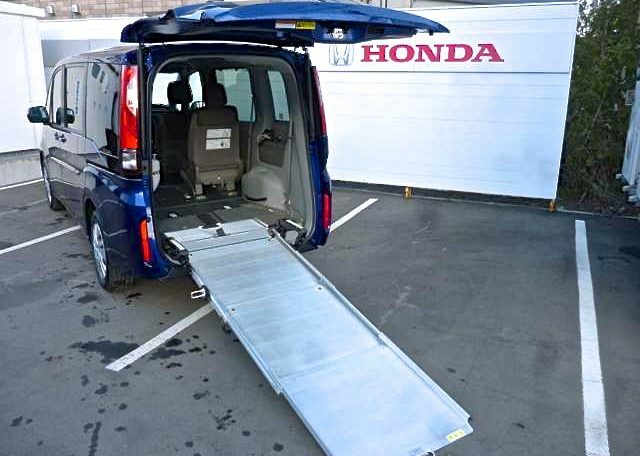 This 2016 Honda StepWgn is not only a gorgeous car to look at, but it also an absolutely wonderful Wheelchair Accessible Car. 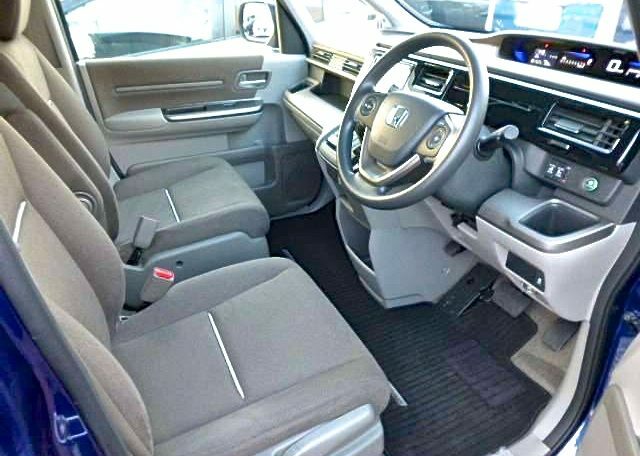 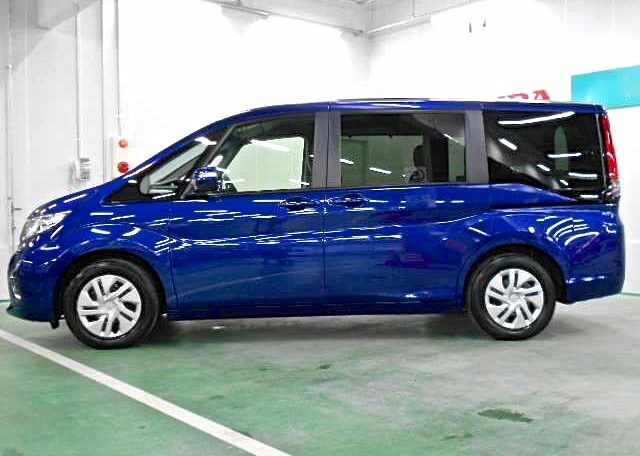 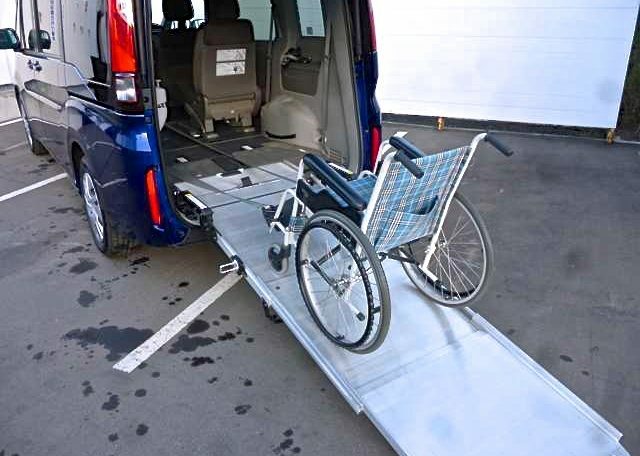 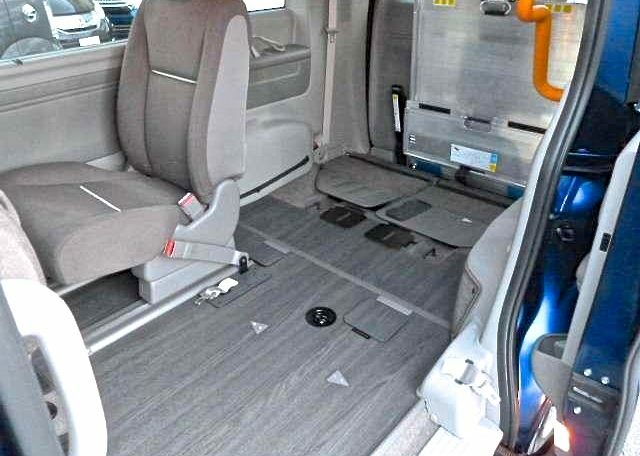 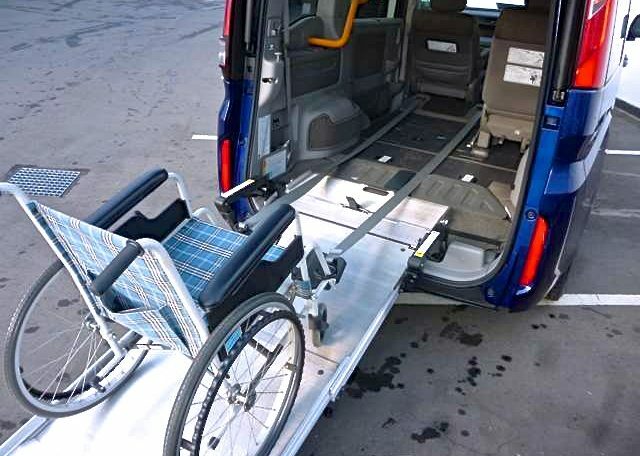 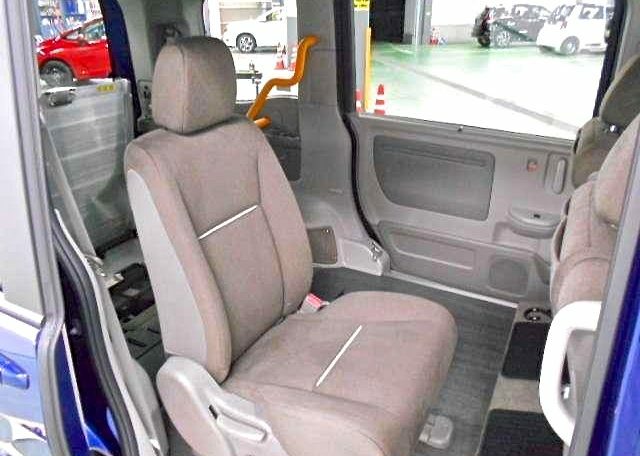 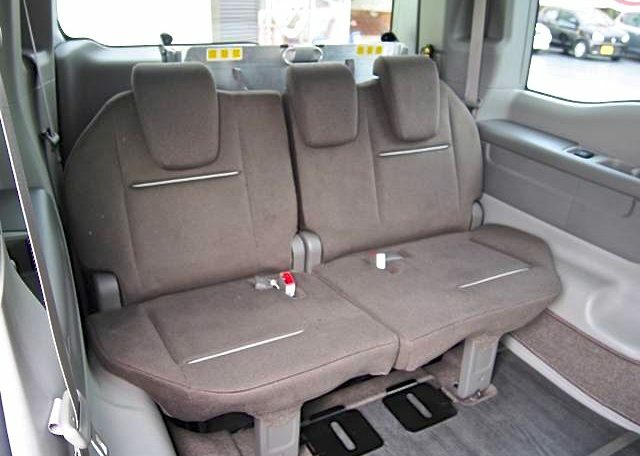 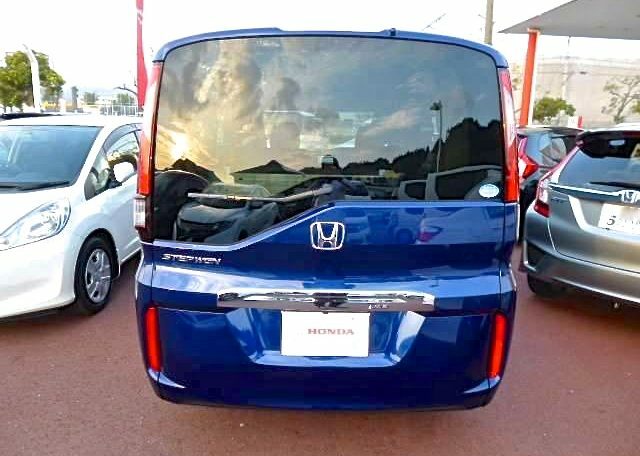 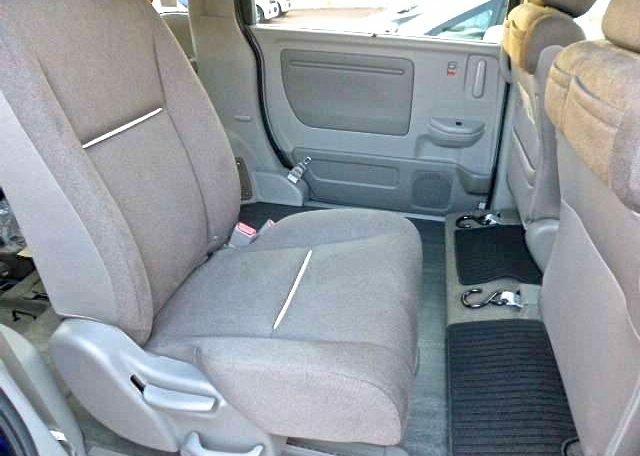 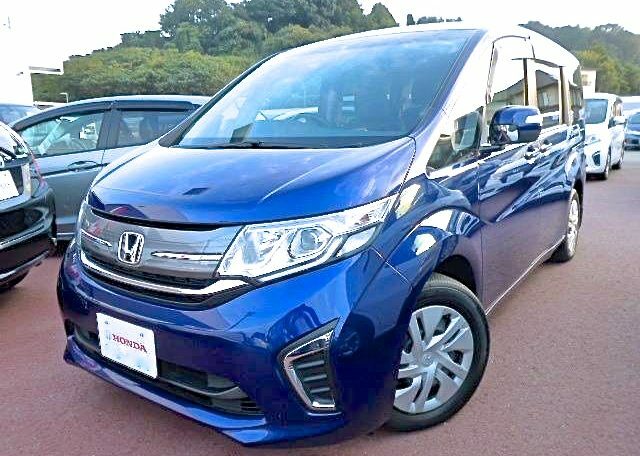 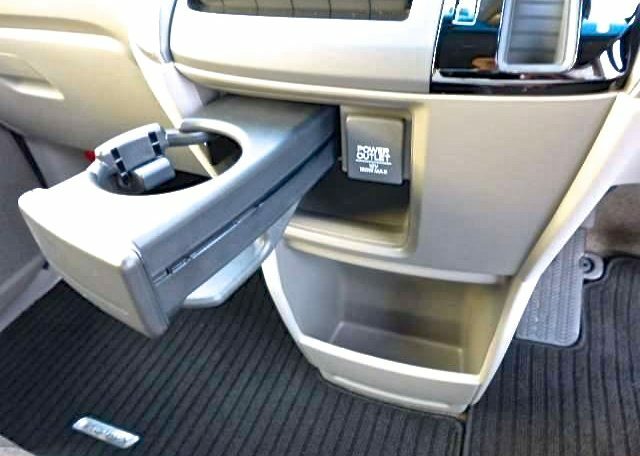 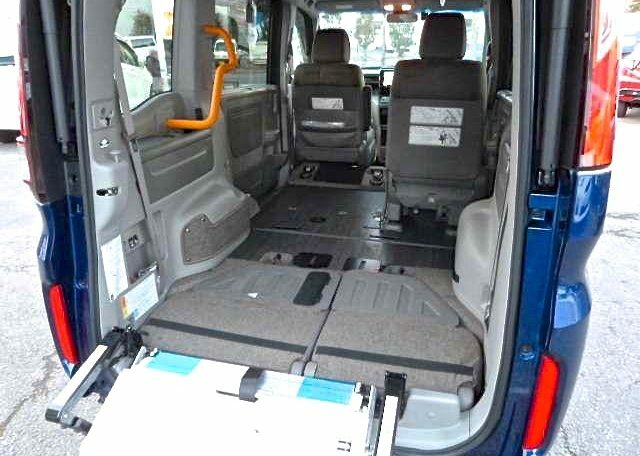 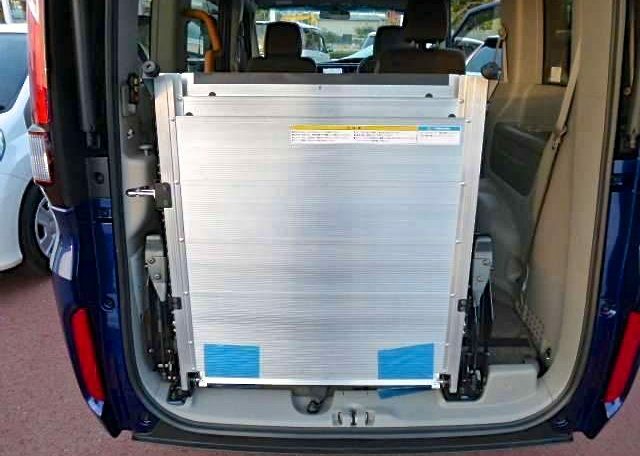 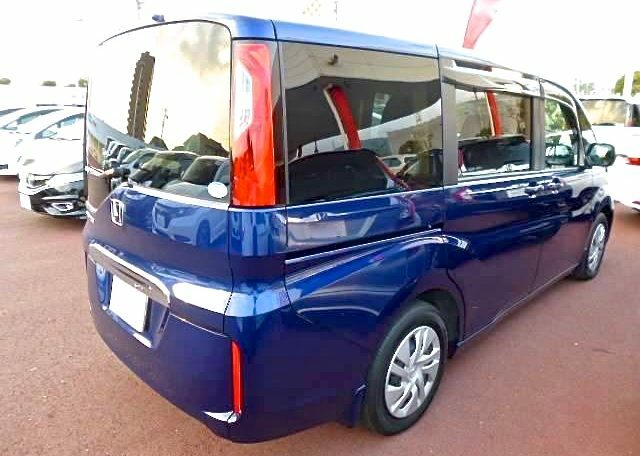 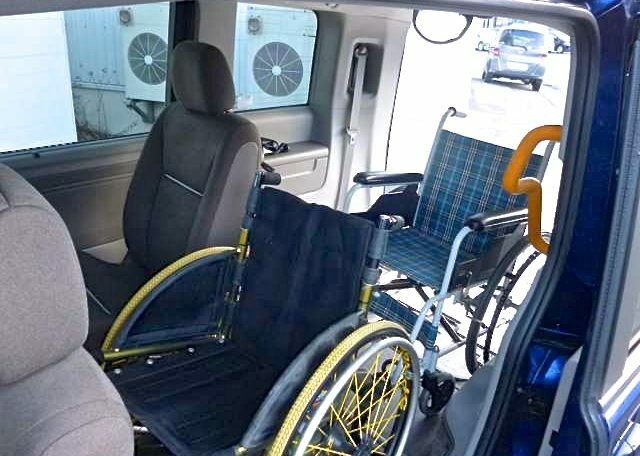 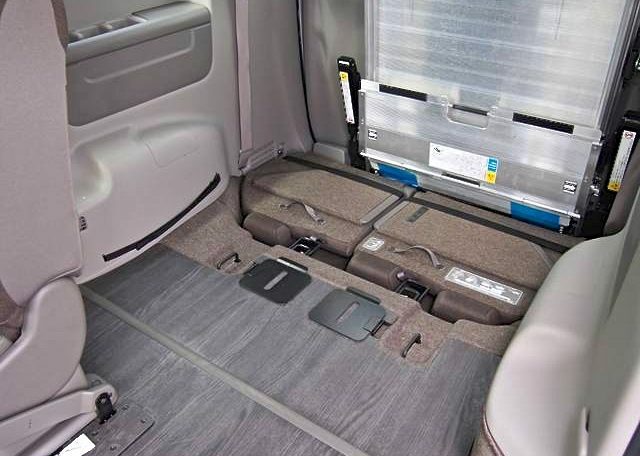 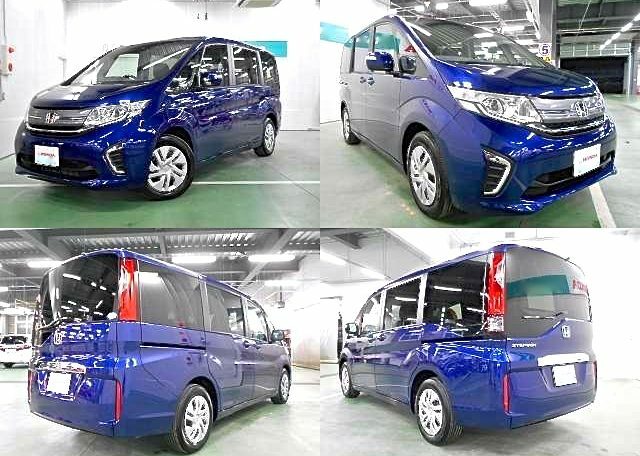 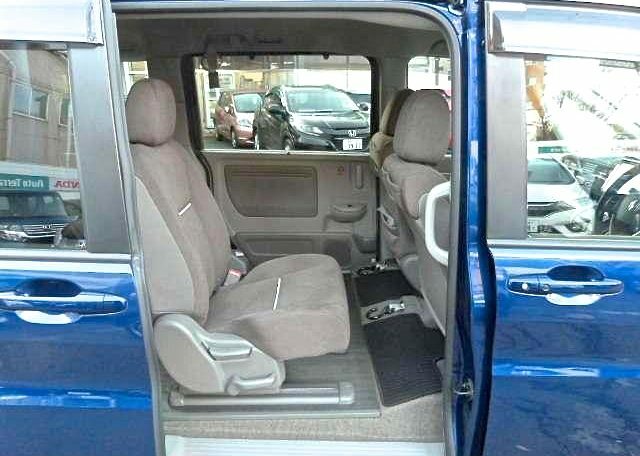 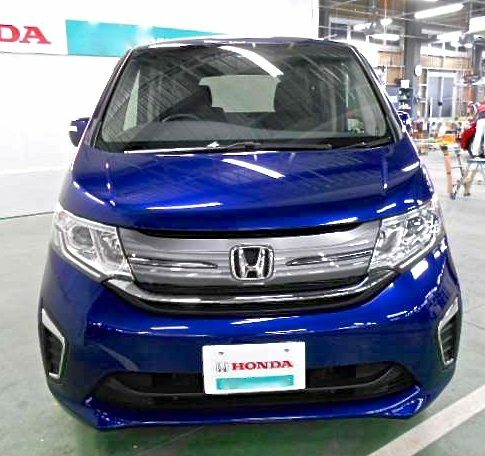 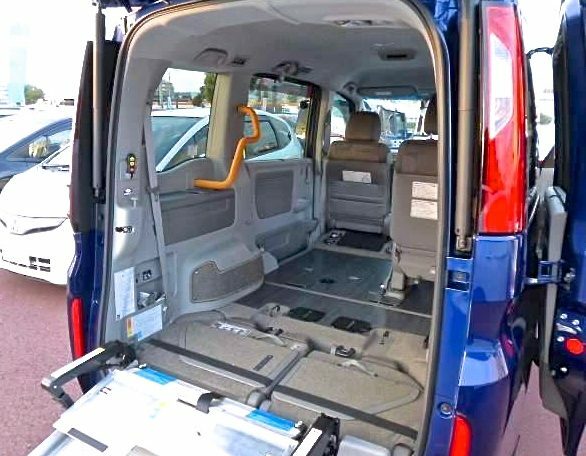 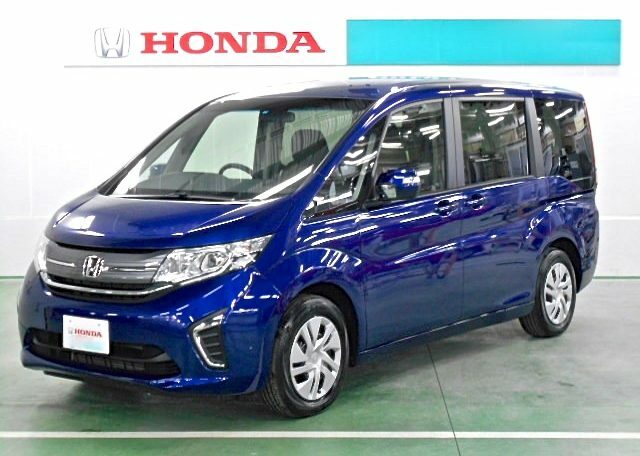 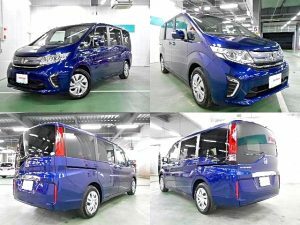 The Honda is a 7 seat vehicle, with ample room for two wheelchairs when being used as a WAV. 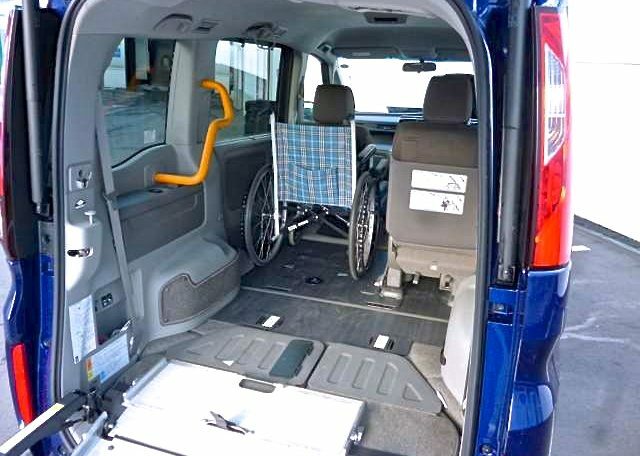 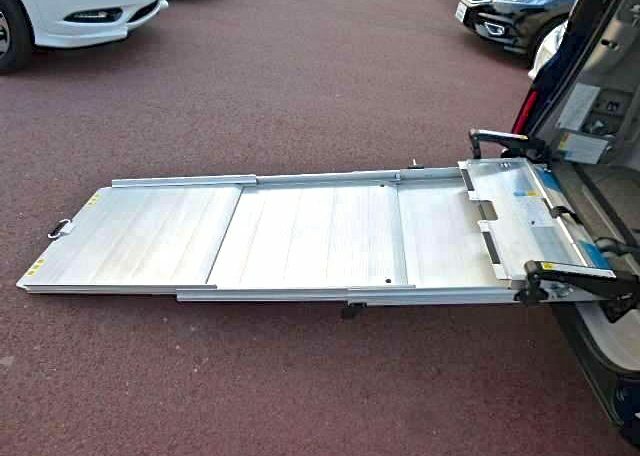 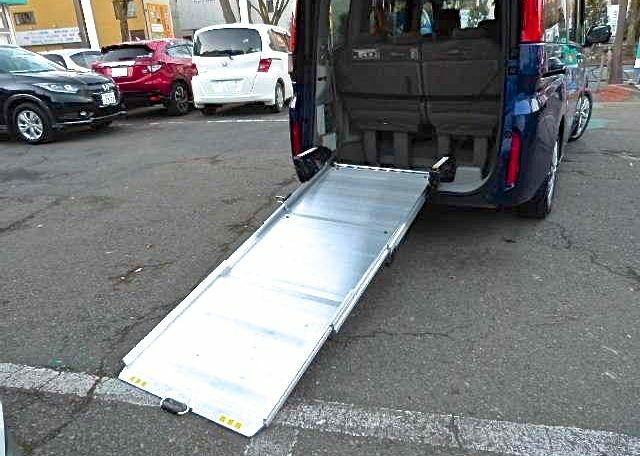 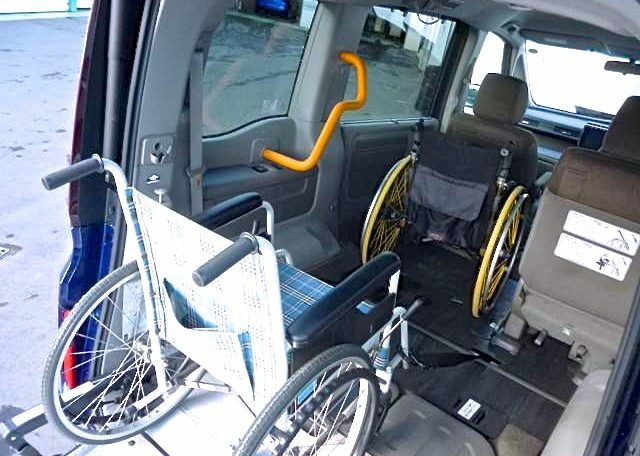 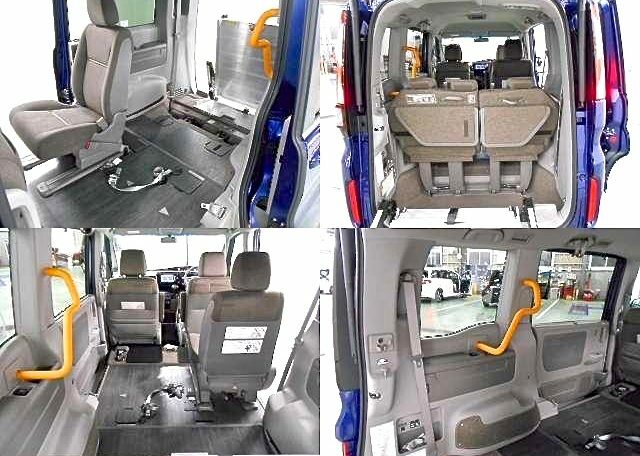 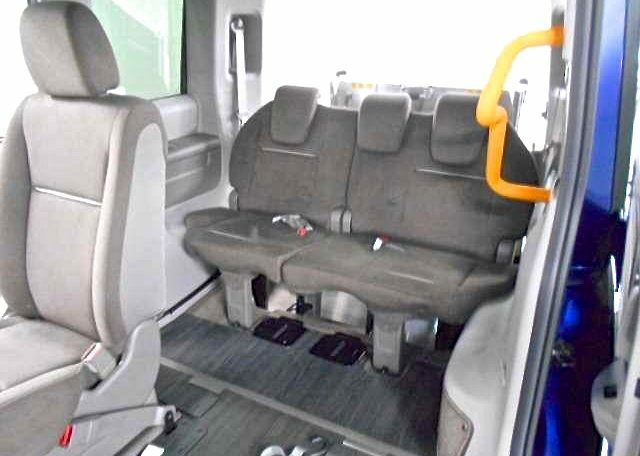 It has a passenger capacity for a single wheelchair passenger and six adults, or two wheelchair passengers and three adults. 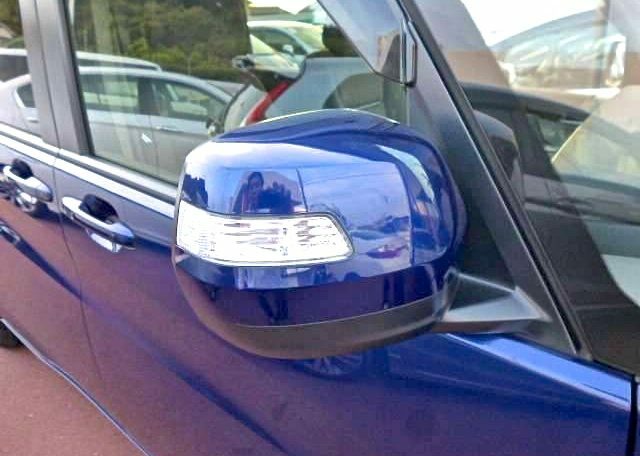 The car has a 1.5 litre petrol engine with a wonderful automatic gearbox that makes driving this car an absolute joy to travel in. 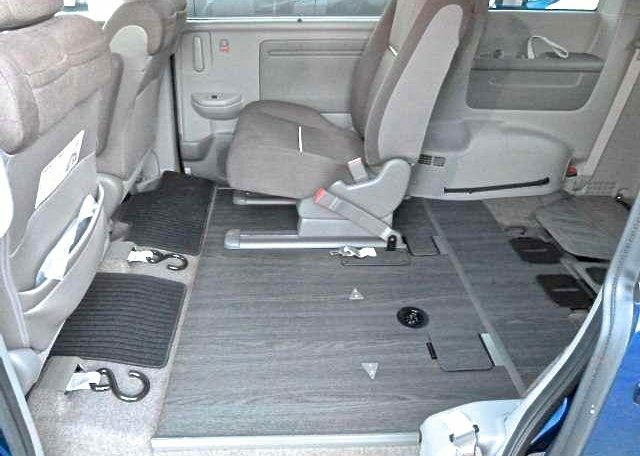 The car is literally jam packed with extras that come as standard. 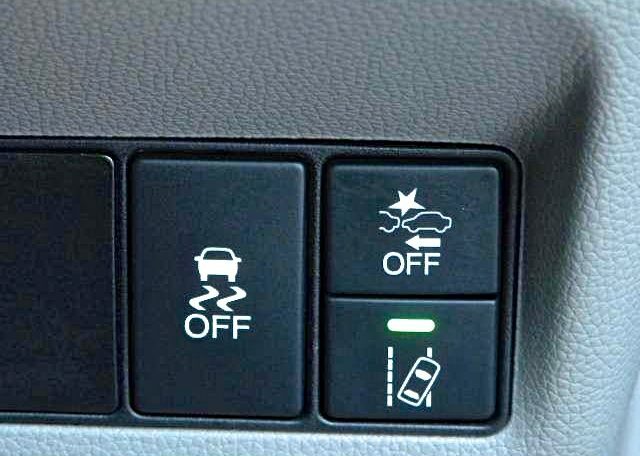 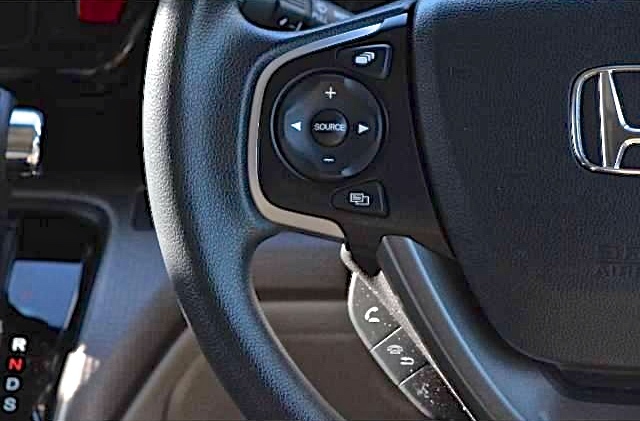 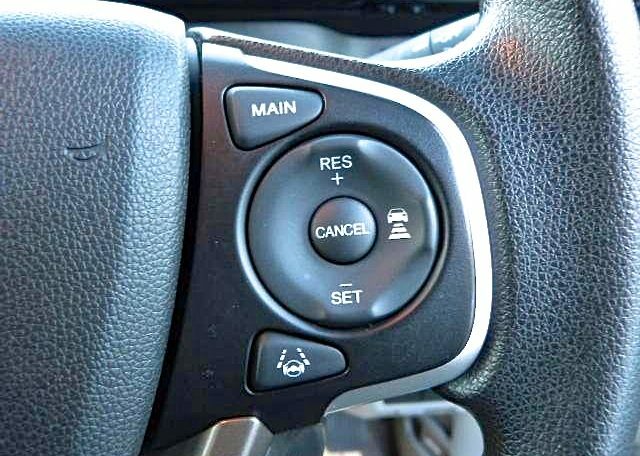 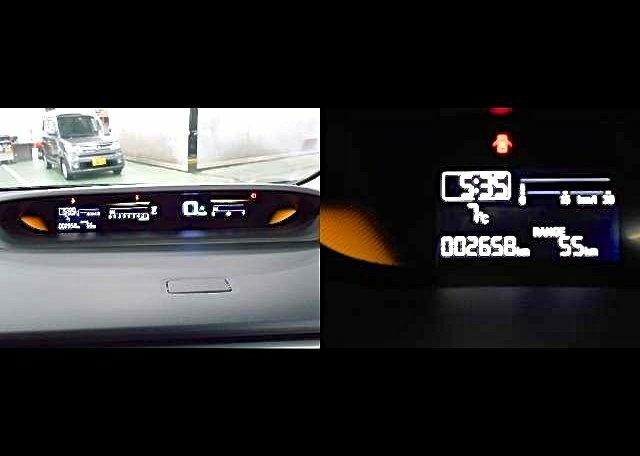 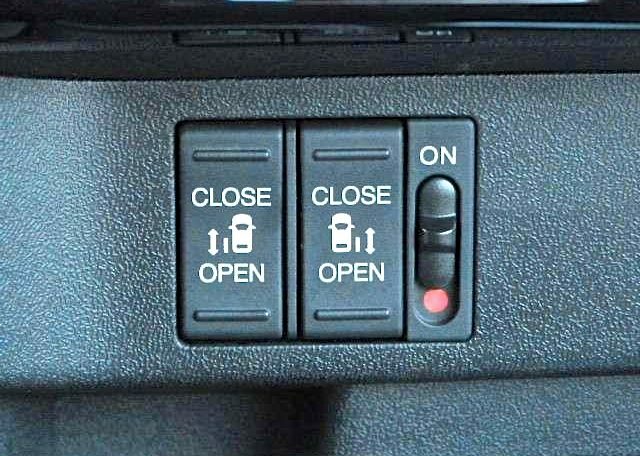 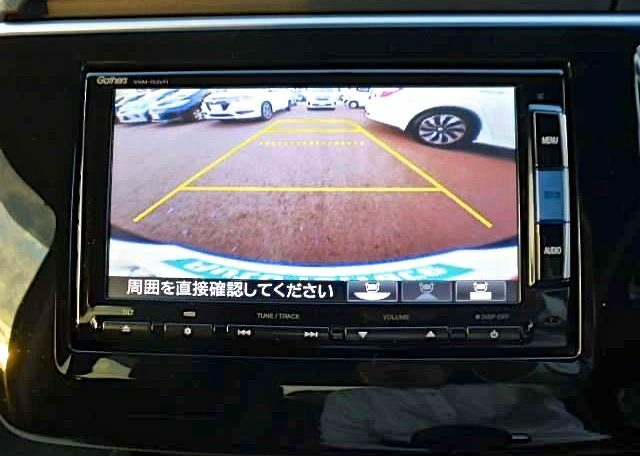 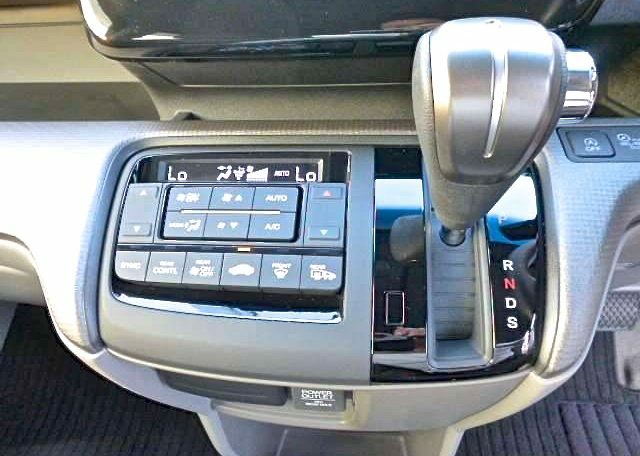 Things such as, lane assist, idling start, blue-tooth connectivity, forward collision mitigation braking, park assist and so much more. 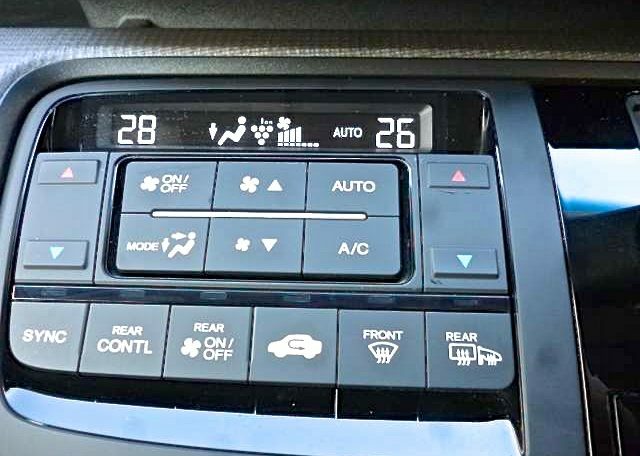 The car is in as new condition with only 2,268 km of driving on the engine, so it has barley been driven at all. 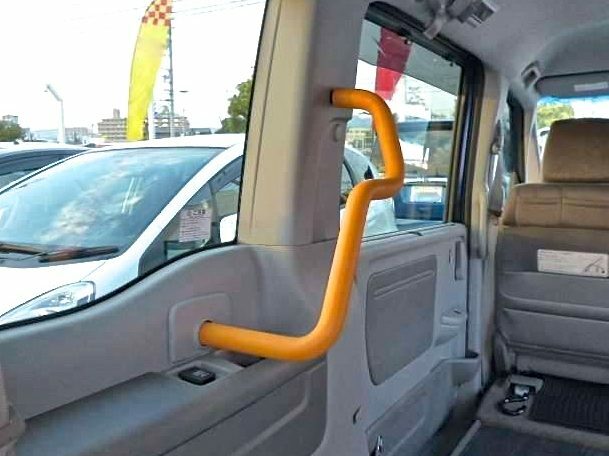 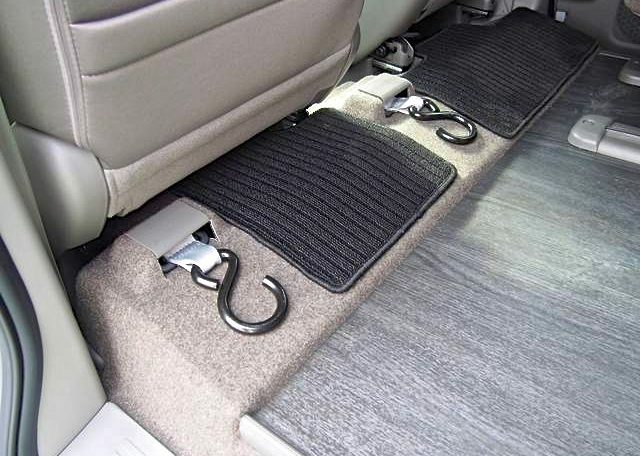 The comfort levels in this car need to be experienced to be understood. 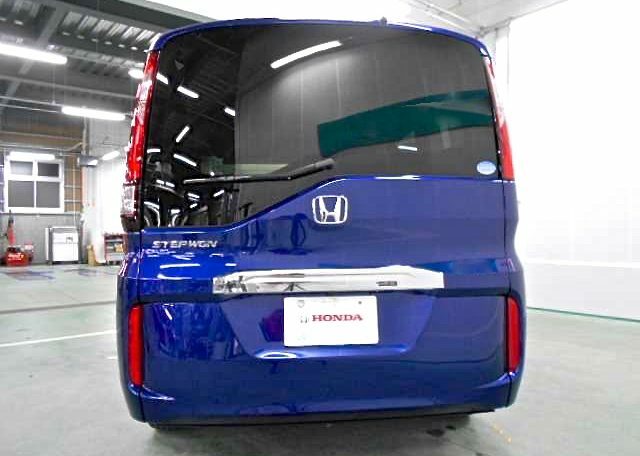 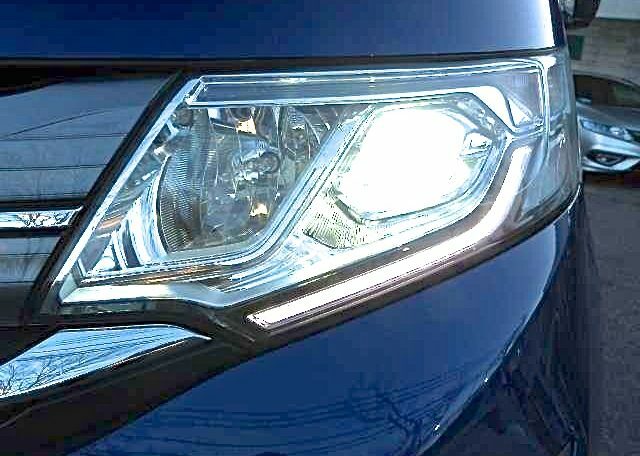 The Stepwgn’s distinctive nose bears the large chrome lath that is instantly recognizable as Honda’s current corporate nose. 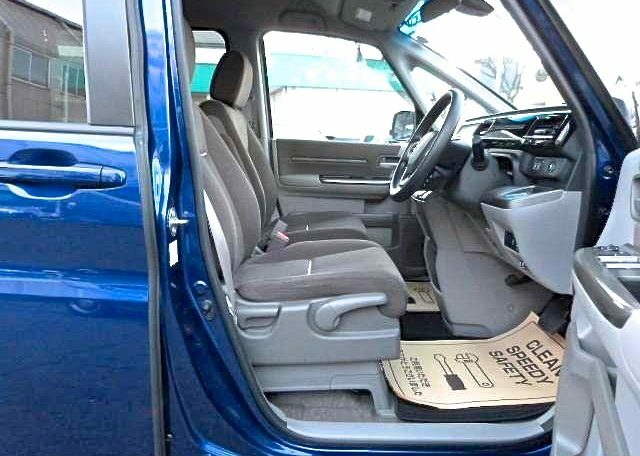 At the rear three-quarters, there’s a distinctive and curious trough in the quarter window waistline starting at where the third row seats are, and stretches till the centre of the rear boot. 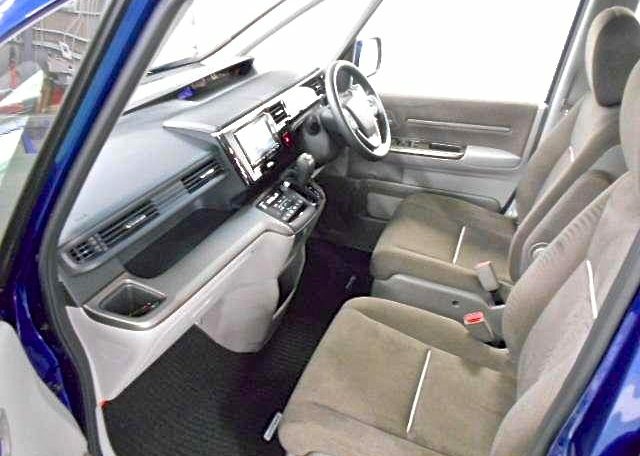 The dashboard, as one would expect, is expansive thanks to the engine and gearbox sitting beneath. 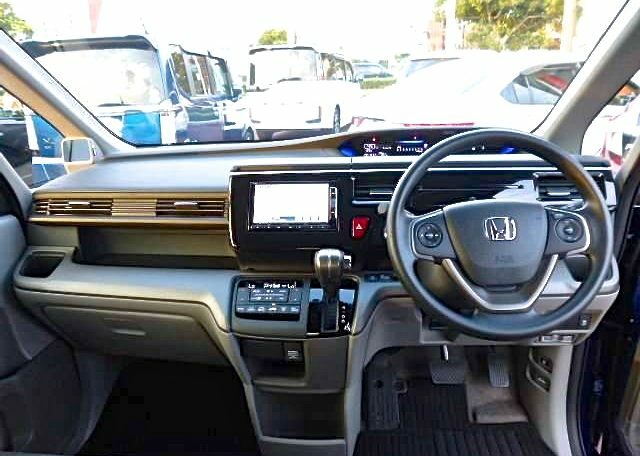 With so much space on the dash, Honda has done a great job in styling it and making use of the space. 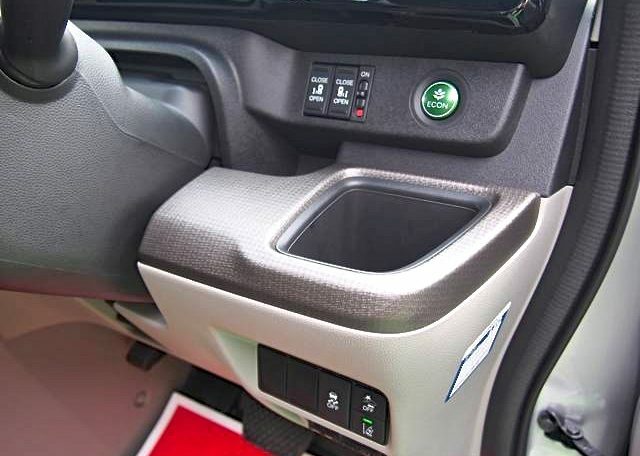 The dash looks utterly contemporary and clean with a nice blend of smooth curves and right angles, incorporating some useful cubbyholes within. 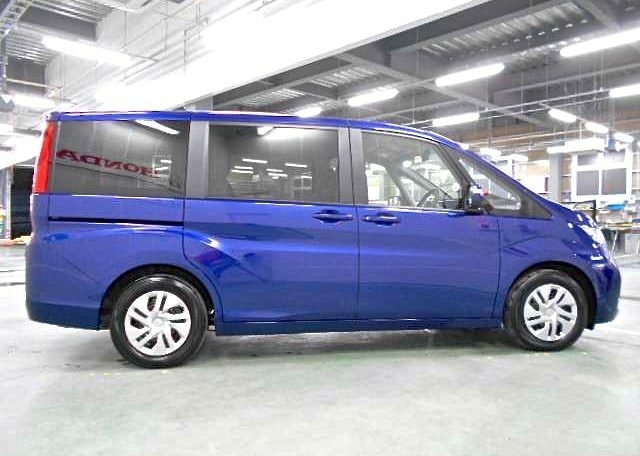 If you have an interest in this particular car, please contact us for more information, as first deposit secures.